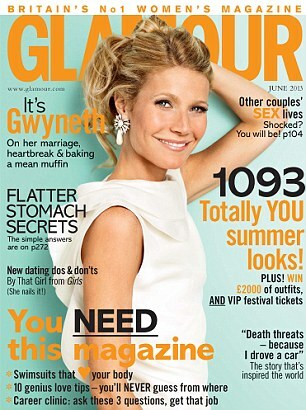 But first, Gwyneth Paltrow covers the new issue of UK Glamour, apparently “Britain’s No 1 Women’s Magazine”? The pictures are very clean, high end, kinda like how you’d imagine her home(s). If they asked for an artist’s rendering of “Classic Socialite”, this is what they’d come up with. What if he wasn’t talented? Then would she be demanding? How do you read that? Hilariously, there’s a part of me that reads it like this, and Jennifer Lopez comes to mind: my husband is motivated and in my eyes, I’ve found my equal, so I don’t have to pressure him to change or be more or to catch me. Can you imagine if JLO said the same about Slum Bear Casper Smart? “I never place demands on him because he’s talented and putting something good into the world”? Then again, as we’ve seen, my G never dates down. 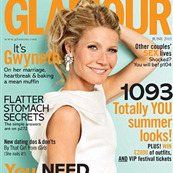 Click here to read more about G in UK Glamour. The problem here is that no one ever gets it. In 2008, the MET Gala theme was “Superheroes: Fashion and Fantasy. Anna Wintour showed up like this. She was widely declared to be the “worst dressed”. For the Oscars? Maybe. For the MET Gala themed for superheroes? I’m not so sure. What do you want? A safe and strapless Oscar De La Renta? Where’s the imagination? It’s not very Valentino, is it?